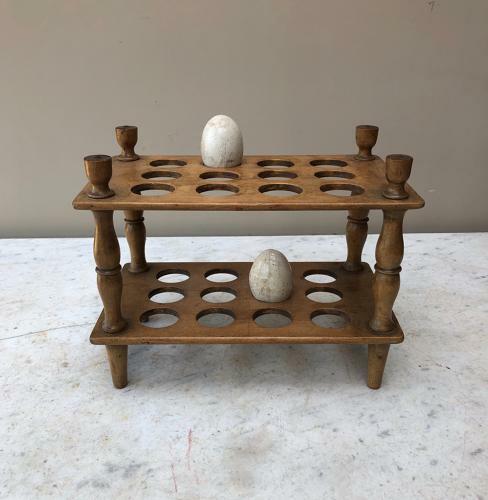 A really superb condition Late Victorian Treen Two Tier Egg Rack. Great colour...pretty turned column supports and just perfectly strudy with no damage. With hold two dozen eggs in total.